Long Beach, California is home to tons of professional skateboarders, but none scream Long Beach louder than Terry Kennedy. So, when TK refers to the most recent skate event held in his hometown as "absolutely amazing," with a new format that was "dope" and a "win-win" for athletes and fans, you know it is time to listen up. 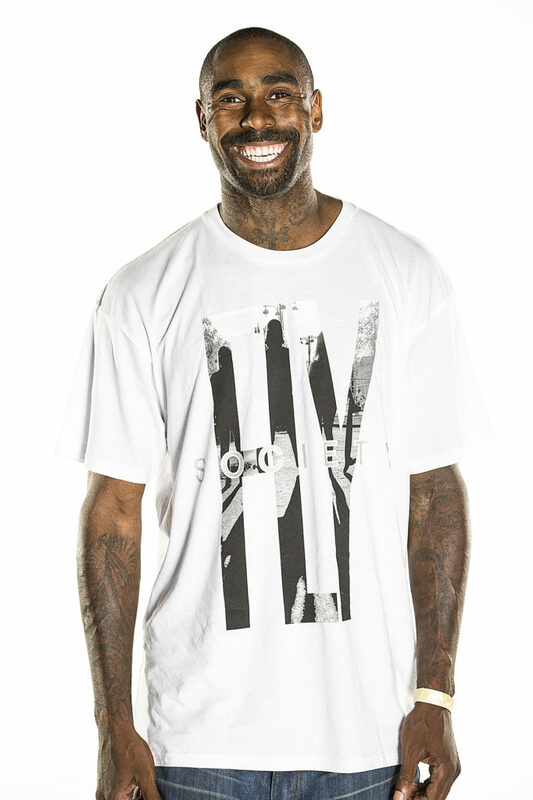 A Long Beach local legend, TK has done it all on the block from ball in the courts to going pro on a skateboard. First hooking up with Baker Skateboards back in 2000, TK has become a staple of the growing skateboard scene in the greater area and has help to bring exposure and support to community efforts. 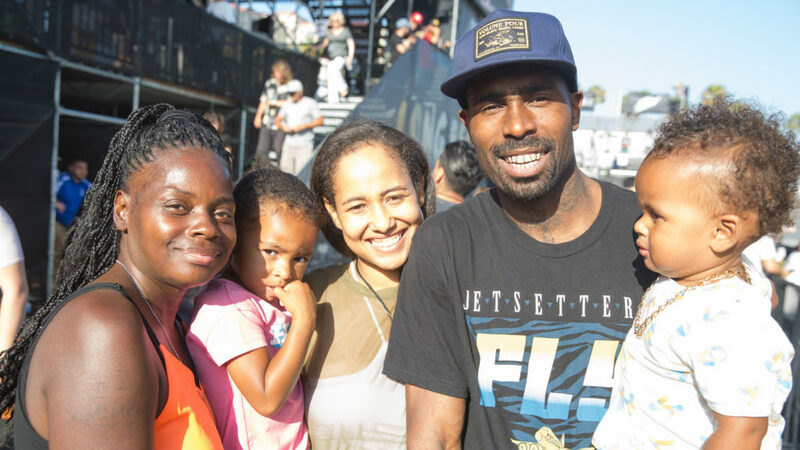 At this year's Dew Tour Long Beach event, TK was ecstatic about the overall impression the event left for his hometown community. He was also amping on what event meant for him as a skateboarder representing Baker Skateboards on the rails section in the Team Challenge presented by TransWorld SKATEboarding. "I think [Dew Tour] coming to Long Beach is absolutely amazing!" said Kennedy. "It was the biggest surprise and shocker to me." TK came out in full with "family on family" from Long Beach including his wife, kid, auntie, uncles and cousins! Running point on the rails section, TK was fired up at Dew Tour and found the new format fit him perfectly. Not only did TK make mention of the new format's four course sections, but the fact that he was in it alongside Theotis Beasley, Cyril Jackson and Tristan Funkhouser for Baker Skateboards made the entire event more enjoyable to skate and hang out around. "It helps you be more at ease. Having your whole team here, supporting you from course to course, it's pretty dope," said Kennedy. "It's good because it is a win-win for everyone skating and watching." In the end, the Baker team ended up placing eighth out of nine teams, but the result didn’t dampen TK’s spirits. When asked if he would do this in Long Beach again, without hesitation TK assured, "Yes, for sure. And if they do it somewhere else, I'm definitely coming out. 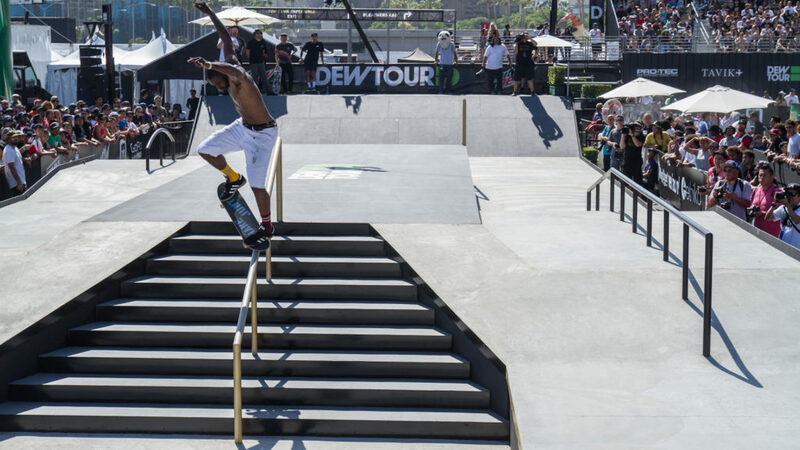 The fact that Dew Tour was in Long Beach this year, though, was super awesome."